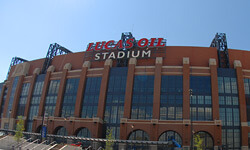 After a long-anticipated wait, single-night tickets for the 2009 World Championship events at Indianapolis' brand new Lucas Oil Stadium are now available! Tickets are sold exclusively through Ticketmaster and can be ordered online at Ticketmaster.com or charged by phone at 317.239.5151. World Class Quarterfinals Date: Thursday, Aug. 6 Location: Lucas Oil Stadium Tickets: Starting at $25, group rate also available. 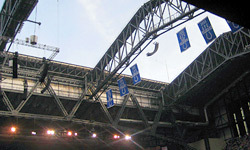 Purchase tickets through Ticketmaster. 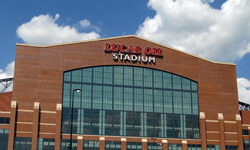 Open Class Semifinals Date: Friday, Aug. 7 Location: Lucas Oil Stadium Tickets: $15 general admission. World Class Semifinals Date: Friday, Aug. 7 Location: Lucas Oil Stadium Tickets: Starting at $25, group rate also available. Purchase tickets through Ticketmaster. Open Class Finals Date: Saturday, Aug. 8 Location: Lucas Oil Stadium Tickets: $20 general admission Learn more about this event. World Class Finals Date: Saturday, Aug. 8 Location: Lucas Oil Stadium Tickets: Starting at $35, group rate also available. Purchase tickets through Ticketmaster. Already have your tickets? Now find your place to stay! 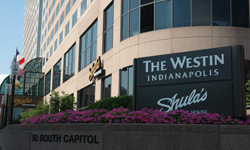 Drum Corps International has secured special blocks of rooms in many popular downtown Indianapolis hotel locations to put you in the middle of all of the excitement and championship week festivities next August. 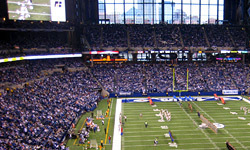 With a dense concentration of hotels right in the downtown area, you'll be within a short walking distance of Lucas Oil Stadium and in the heart of everything that the Circle City has to offer in great dining, entertainment, cultural activities, and more!